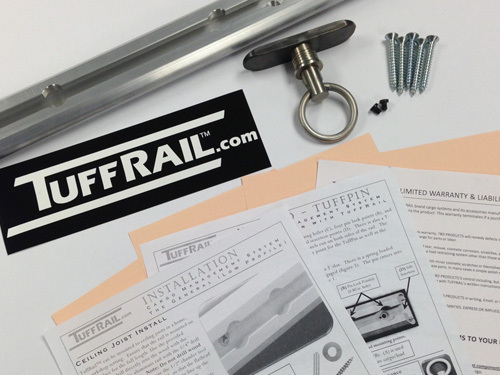 TuffRail® locking configurations may vary from those pictured, many times based on customer requirements. 1) Select your joist spacing. If you are mounting along one joist 16" is a standard spacing to work with. 3) Add any additional Slide TuffPins. 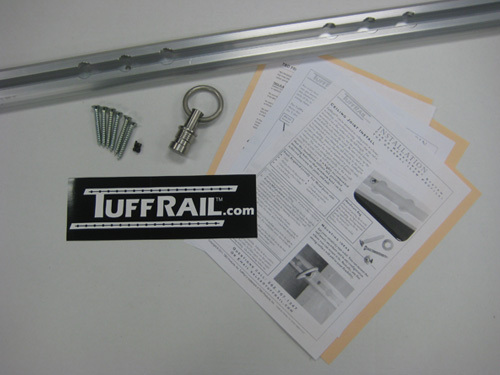 Each TuffRail package includes TuffRail, 1 Slide TuffPin, Wood installation hardware, and End screws. If you require joiners for multiple rails, mounting hardware for concrete or steel installation, or have any special requests please email us at sales@tuffrail.com with your name, order number, and your request. 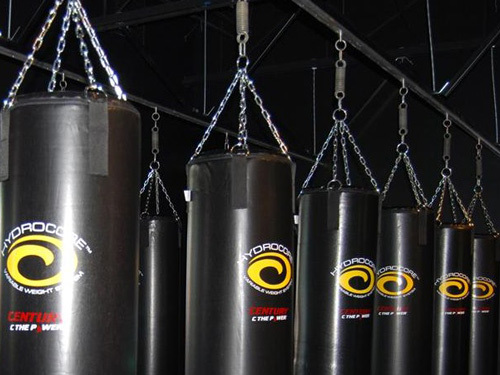 The Overhead TuffRail system is most popular for mounting heavy bags and other pieces of fitness equipment. 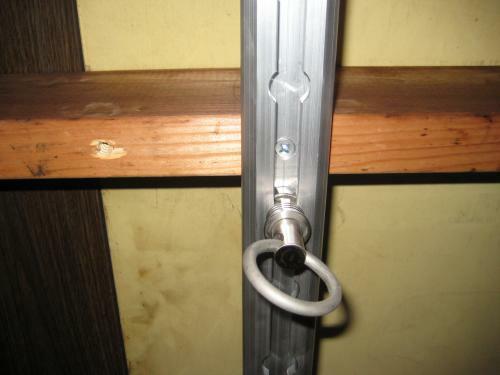 This system stands out from other on the market because it has the ability to slide your equipment from a locked storage position to a secure working position. This feature gives you the ability to free up space for other uses. 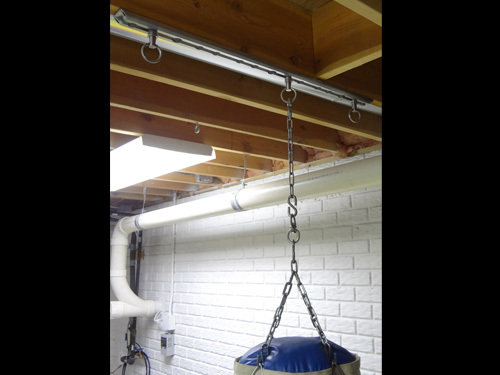 The most popular items TuffRail assists in hanging include but not limited to; Heavy bags, Resistance bands, gymnastics rings, suspension training systems, physical therapy equipment, climbing ropes, and pull up handles. 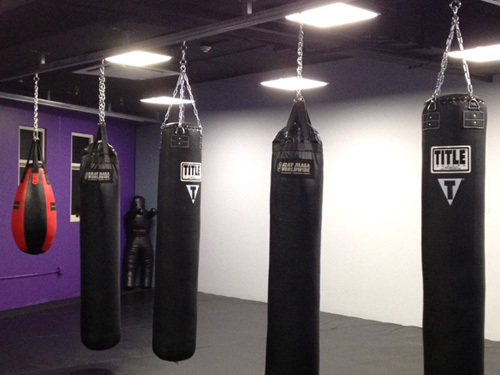 TuffRail and TuffPins can support upwards of 2,000lbs*. 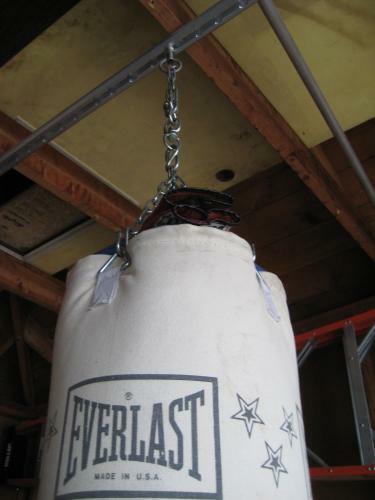 The weight bearing capabilities this system allows you to hang multiple pieces of equipment from one TuffRail. TuffRails are all made proudly in the USA based out of Germantown, WI. 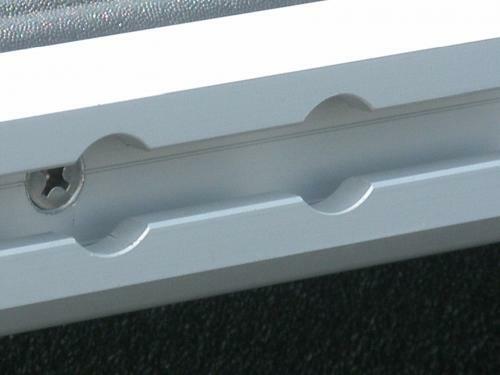 We offer a large variety of lengths and mounting holes. Due to the variety of lengths we offer, your order can take up to one week to ship. 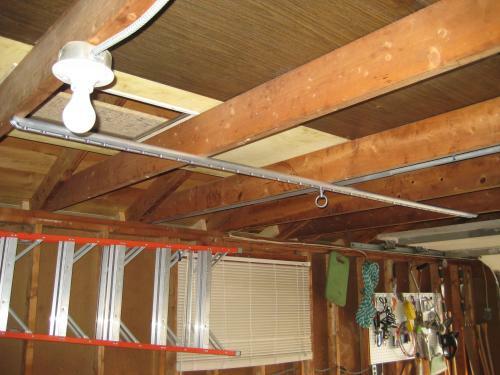 *Please review the weight bearing capabilities of your ceiling before purchasing TuffRail. 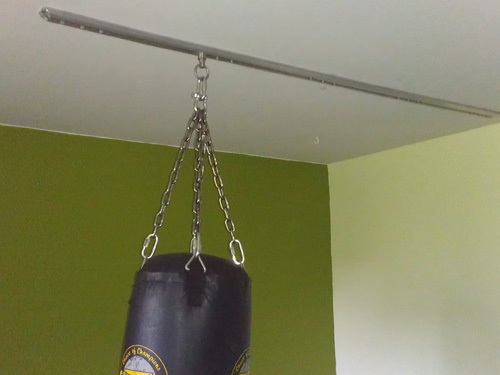 If you are unsure of how much weight your ceiling can hold please contact a professional before ordering. For warranty, return policy, and other basic information please vist the "About" section of our website.